Create and share GIFs in an attempt to win or obtain real prizes. Inspired by the recent success of apps like HQ, we wanted to capitalize upon the mass demand for instant gratification. After browsing reddit for a few hours, we realized that Snapchat uses selfies, Instagram uses pictures, Facebook uses text, and giphyr uses GIFs. Enabling two types of users, giphyr lets people do what they want. A typical user opens the app, and starts swiping right on GIFs they like, and left on ones they don't. Content creators would upload their creations, and wait as others swipe right and left on their creations. Through daily and weekly quests (such as logging in, swiping on fifteen GIFs, uploading, etc. 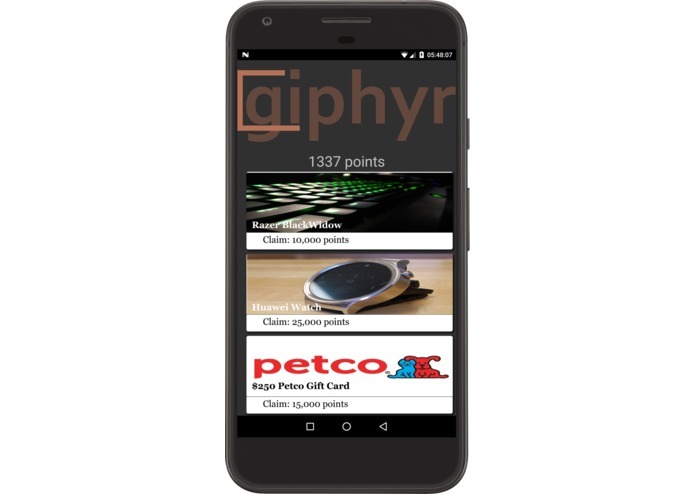 ), users can earn points to spend in the giphyr store. Points can be redeemed for weekly raffles, or products themselves. 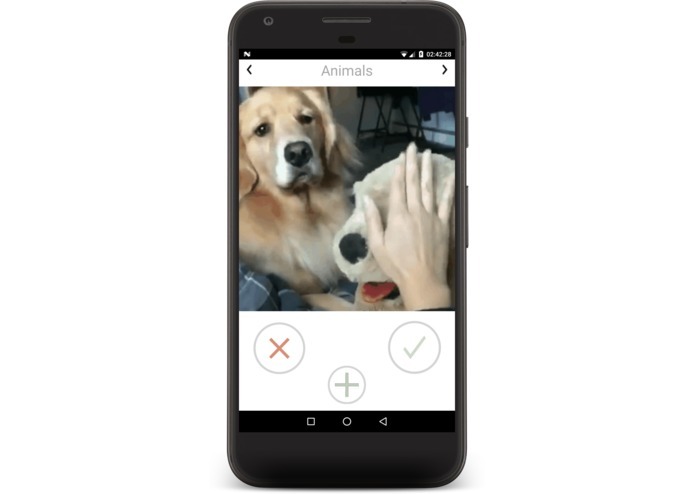 Using primarily Android Studio and Java, the app was built using AWS as its backend. As usual, Android documentation was lacking. Especially with regard to AWS. Sometimes documentation would reference deprecated methods, or would often contradict itself. We created neural nets to analyze user preferences and detect potential spam. Reading AWS Android documentation is like reading a disaster prep guide after the disaster has happened. We plan to rewrite the application in React Native to allow for a seamless cross-platform experience. In addition, plans to explore aggressive marketing through referrals and seeking out avenues for funding will be explored in depth. 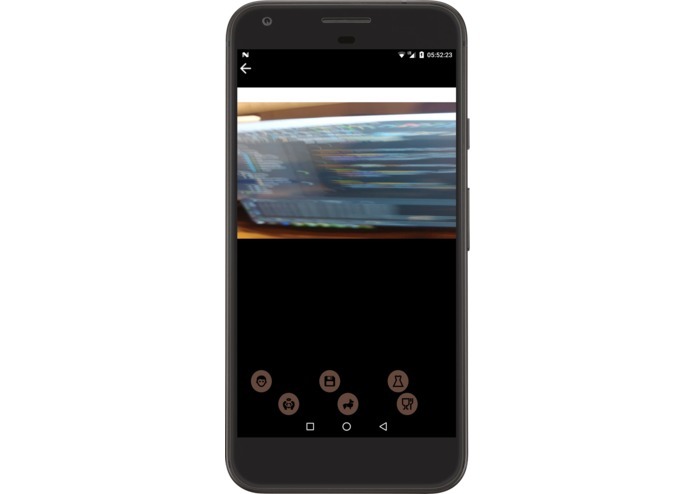 I worked on the core Android experience along with AWS integration.